As a family caregiver, you don’t want to think about your loved one ending up in the emergency room. This is a frightening prospect, and it can be upsetting to think of them struggling with an illness or injury severe enough to require a trip to the emergency room. During this time, however, you can be a very valuable source of support for them. As their advocate, you can ensure they get the care they need and the respect they deserve, but you also prepare yourself to care for them after discharge. One of the most important things you can do during this time is ask questions. Asking plenty of questions gets you and your elderly loved one the information necessary to understand what they are going through and what needs to be done to give them the care they need. What is the initial impression of what they are suffering? What is the name of the doctor attending to them? What are the names of the nurses attending to them? Why are these treatments being done? Why are these tests being run? How long will it take to get results for the test? Will they need to be admitted into the hospital? It is important to remember that any time your senior is receiving care, they should be the ones in control. Asking questions and letting their voice be heard is critical to ensuring they get the care they deserve. If your senior is unable to communicate effectively, or is uncomfortable communicating in this way, you being their advocate will make a major difference. 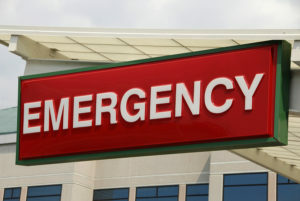 If your senior has recently been in the emergency room, now may be a good time for you to consider elderly care for them. After an emergency room visit, your senior is likely to have a time of recovery, and will need to make lifestyle choices to help them live healthier moving forward. An elderly home care services provider can be with your parent through their recovery to help them remain compliant with their medications and treatments, make good lifestyle choices such as eating a healthy diet, helping them to conserve energy through handling activities of daily living, offering emotional support, and more.